Cracow, as usually at this time of the year, is pulsing with life. The examination session has not yet ended (not for everyone, by the way; Loukas completed his education at the honorable Jagiellonian University two days ago, earning his Bachelor degree), the crowds in the streets, however, indicate that the summer tourist season has already begun. Apart from “ordinary” tourists, one’s attention is drawn by an extraordinarily high number of men wearing kippot. It’s not surprising since the Jewish Culture Festival is now taking place. The ancient synagogues in the Jewish District, Kazimierz, are filled with festival guests. We too are going tonight to welcome the Shabbat with the progressive Jewish congregation Beit Krakow, which will be lead by Rabbi Tanya Segal. Our presence in the royal city has a special reason this time, however. 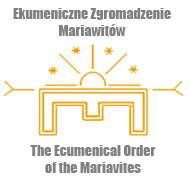 This Sunday, July 3rd, at 2 pm in St. Martin Lutheran Church in Grodzka street we will be received as members of the Ecumenical Congregation of the Mariavites. The revelation received by St. Maria Franciszka Kozlowska gave birth to the Congregation of Mariavite Priests. Soon the congregations whose superior was Mateczka (…) changed their name for the Congregation of Mariavite Sisters. This way there was, apart from the male, also the female branch of the congregation. Soon the Mariavite Congregation extended, receiving members of the third order and of the brotherhood. Mames T.D., “Mysteria Mysticorum: Szkice z duchowości i historii mariawitów”, Nomos, Kraków 2009, p. 141. A poorly educated chaplain and a not-at-all educated little peasant found for themselves a seer woman from Plock. Mames T.D., ibid., p. 100. The anti-feministic elements were (and still are) obvious in the anti-Mariavite actions. The Roman [Catholic] Church, as an organization ruled by men, couldn’t come to terms with the fact that right and acknowledged claims about the corruption of clergy were proclaimed by a woman. In the whole anti-Mariavite action echoed the complex of a man deprived of the privilege to lead. This aspect played also an important role in the legal proceedings of the Mariavite movement before the church authorities. Mames T.D., ibid., p. 101. Using the mediation of Russian Orthodox general A. Kireyev, the Mariavites attempted to join the Old Catholic Church. In 1909 the Rev. Jan [Maria Michal] Kowalski was consecrated as a bishop by the Archbishop of Utrecht and received into the community of the Old Catholic bishops. Küry U., “Kościół starokatolicki: Historia, nauka, dążenia”, Warszawa 1996, p. 109. The communion between the Mariavites and the Union of Utrecht lasted until 1924. It was then that the ways of the Mariavites and the rest of the Old Catholic Churches parted because of several reforms introduced by Archbishop Kowalski. 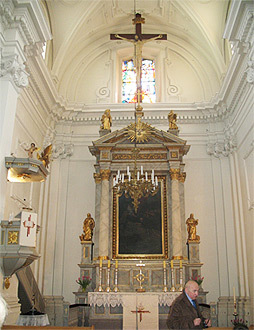 Today, however, there is intercommunion between the Old Catholic Church of the Mariavites and the Old Catholic Church in Holland again, its bishops are invited to participate in the meetings of the International Bishop Conference, and the present Presiding Bishop, Maria Ludwik Jablonski, took part in the consecration of the Bishop of Haarlem, Dr. Dirk Jan Schoon. The fact that the monastic spirit was fading away worried some priests. Among them were the late Fr. M. Waclaw Urbas and the priest and world renowned astronomer, Fr. Prof. [Konrad] M. Pawel Rudnicki. Also a Lutheran professor, whose name is not revealed in the sources, took part in the discussions about the Mariavite spirituality. The activity of the small Mariavite circle was welcomed with great interest of the faithful and some priests. It originated from the conviction that the Work of Great Mercy needs a Mariavite Congregation that would focus on cultivating the common prayer and the mystical spirit. He [Rev. Zaborek] wanted to revive among the priests as well – in the new, existing circumstances – the zeal of original Mariavitism. Usually he was not understood. Or it was believed that the existing external conditions weren’t appropriate for spiritual work, or it was attempted to cultivate the Roman monastic forms from the 19th century despite the fact that the external conditions had changed. … When, in the 60s, Brother Priest [the title Mariavite priests are addressed with instead of “Reverend” or “Father”] M. Wieslaw Urbas, having concluded that the spiritual revival of the whole Mariavite clergy was temporary impossible, focused on organizing a group of several priests around himself and creating the embryo of the future, revived branch of the Mariavite Congregation, Brother Polikarp immediately became a member of this spiritually active group. In order not to give rise for gossip and not to cause a sensation, we would meet regularly on the days of the monthly adorations, which surprised no one. We prayed the hours together, concelebrated the Eucharist and studied the matters of the spirit. A serious illness, and later death of Brother Wieslaw had for some time suppressed our activity. 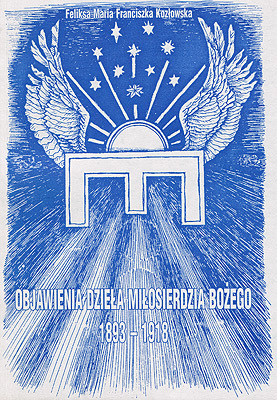 So it was understandable that when in 1979 – encouraged to act by two persons from outside our group – we decided to make the old group of Brother Wieslaw a new branch of the Mariavite Congregation and received appropriate permissions from Archbishop Rafael and the Presiding Bishop Tymoteusz, we held the founding chapter in Brother Polikarp’s new parish. During the session was expressed the doubt whether, grouping only about a dozen people, we were able to became a new branch of the Congregation. And then Brother Polikarp said that we were indeed only a few and we weren’t worthy to take up such a work, but if we didn’t do it, we would be to be blamed if the Mariavite Congregation disappeared in a few decades, and if we decided to act, Providence would help us. It was the decisive advice. We took it. And so during the chapter held on November 4th and 5th 1979, by permission of the then monastic superiors, was established a new, later growing in number, vital branch of the Mariavite Congregation founded in 1893. Rudnicki K.M.P (“Brat Paweł”), “O Bracie Kapłanie Marii Polikarpie Zaborku: Wspomnienie”, in “Praca nad Sobą”, issue 59, 2010, p. 1 n.
At the moment, Christians of various denominations are members of the Congreagtion: clergy and laity, women and men. We are bound by the Eucharistic worship, the will to imitate the life of Mary, common (even though said in many different places) prayer, ecumenism. Apart from that, of course, many things divide us – we come from various traditions, we have different views on many matters. It doesn’t prevent us from drawing inspiration from the same source, which is the Holy Scripture, the tradition of the church of the first centuries and the Work of Great Mercy, as Fr. Michal Maria Kowalski called the revelation given to St. Maria Franciszka. Visiting our blog, it is difficult not to notice that Mariavitism is something important for us, that we deal with it, that it provides us with material for reflection and inspiration. As it happens more often in life, what is important is not always easy. Some elements of the Mariavite spirituality are challenging us, which we also expressed in various posts. But why the decision about joining the Congregation? I would also like very much to become a member of the Orthodox Church. But its exclusive regulations don’t allow it. Yet when there is time, I still enjoy taking part in Orthodox rituals. They brought me up to faith. Rudnicki K.M.P., “Moja droga do religii”, Kraków 2008, p. 30. Although, as we indicated above, we aren’t writing a panegyric, it’s hard not to mention that Brother Pawel is one of the Righteous Among the Nations. The early Mariavitism was in the first place a prayer movement. The Ecumenical Congregation managed to renew that spirit. That is why we can join a community of people who, in various places of the world, say the same prayers, and we have to admit it gives praying a special quality. We experience that every day praying together – via Skype – the Vespers from the Eucharistic Breviary of the Mariavite Congregation (for the Morning Prayer we use the Book of Common Prayer). But a special experience was the Vespers we prayed two days ago together with other members of the Congregation in Rev. Rudnicki’s home chapel. This sense of belonging to a prayer community gives one strength, especially in difficult times… When, two days ago, we celebrated the Eucharist and then recited the breviary in Brother Pawel’s house, we couldn’t resist the reflection that this is perhaps what will be the church’s future in the post-Constantinian era, that our time is not the time of big religious communities, but of such small centres of Christian spirituality scattered across the whole world, where people gather to pray, celebrate the Eucharist, give thanks, plea and intercede for others. Perhaps the point for Christians is to act together with other people, day by day, for the world to become a place where people (and not only they) can live a better, fuller life, and at the same time to gather in their relatively small (but always open to new members) circle in order to continue their spiritual work? I, Brother Maria Seraphim (Maria Isaac), pledge before God Almighty, who is present in this Most Holy Sacrament, the Blessed Mother Maria Franciszka, the Blessed Father Francis, the Blessed Mother Clara, the Blessed Alphonsus de Liguori and all the Saints, for one (three) years to examine God’s will concerning me and fulfill it according to my best intentions and abilities, serving the Work of Great Mercy in all situations and decisions of my life. This entry was posted in English entries and tagged Konrad Rudnicki, Mariavitism, Old Catholicism, reflections, spirituality, women. Bookmark the permalink. Thank you very much for your reaction. Unfortunately, virtually all Mariavite liturgical texts are in Polish. To English speakers who would like to join in our prayer life me recommend St. Augustine’s Prayer Book (http://www.anglicanbooks.com/store/pc/viewPrd.asp?idproduct=15). Essentially every vesper liturgy with benediction corresponds to the Mariavite tradition.